English bulldogs are prone to respiratory problems. Avoid working them outdoors in extreme heat or cold, and observe the dog for any sign of labored breathing. English bulldogs should be muscular but not overweight. Avoid letting your dog become too heavy, as this can lead to respiratory, joint and other health problems. Use a stainless steel flat-bottomed dish with straight sides for food and water. Purchase a good quality nylon or leather collar , rather than a harness for walking. Harnesses put pressure on a bulldog's chest. 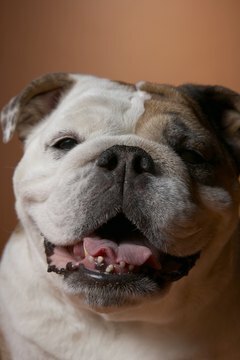 English bulldogs are by nature gentle and loving companions, even though their appearance can be intimidating. They can be strong and stubborn, and require an owner who is aware of a bulldog's special needs. Because they are muscular in stature, an English bulldog can easily become soft or obese if not conditioned properly. This requires exercise and the correct diet. Bulldogs are happy to be couch potatoes if allowed, but adequate exercise is a must to keep them muscled, fit and healthy. Feed your English bulldog a nutritious diet designed for the breed. Use a good-quality puppy food, divided into four meals a day until the dog is 6 months old, then three meals a day until age 1. Feed an adult English bulldog high-quality adult or senior kibble twice daily to keep its digestive system working and reduce gastric problems. Special foods formulated and shaped for bulldog jaws are available. 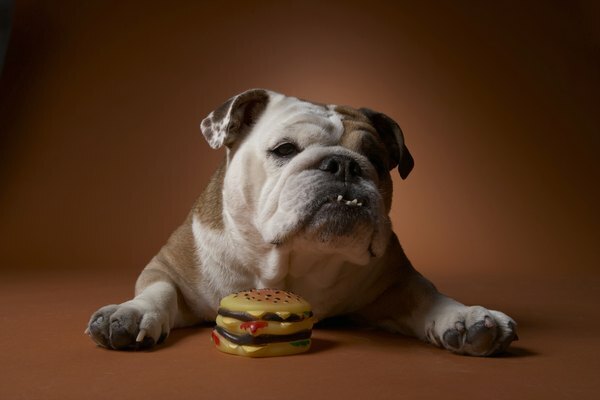 Make transitions to a different food gradually to avoid upsetting the bulldog's sensitive digestion. Train your English bulldog puppy to walk on leash from a young age to keep him fit and build muscle. Start with short walks of a few minutes with a young bulldog and build the dog's endurance. As he matures, walk longer distances more frequently. Serious muscle conditioning should not begin until your dog is 12 to 18 months old. 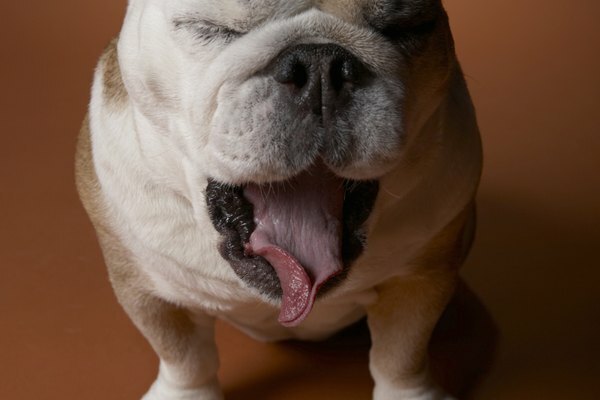 Incorporate hill work into a bulldog's waking regimen as he matures and becomes fit. This exercise builds muscle in the front and hind ends while going uphill and downhill. Play tug with your English bulldog. Braided rope tugs with strong rubber ends are durable and safe. This game can be played indoors or outside and will help condition your dog's neck and shoulder muscles. It is especially good for times when you can't get a bulldog out for daily walks.